When I were a lad, back in the days when intrepid hunters posed with their boots atop a fallen velociraptor, I used to dream of having a Ford Zodiac. For the uninitiated, it was a car, and in those days to my young eyes it was almost futuristic; sleek and long and different from the norm. And it was called a Zodiac. By comparison, most other cars looked like they might actually be called Norm. The Zodiac looked fast even when it was standing still, and I think that’s what appealed most to me about it. Speed. It was an aphrodisiac to a boy not yet old enough for such a drug to be much use. As I grew older, and Ford Zodiacs inevitably began to look really old-fashioned – they should have been renamed Ford Jeremy’s or something – other, even sleeker cars took their place in the part of my imagination that wistfully predicted future possessions. 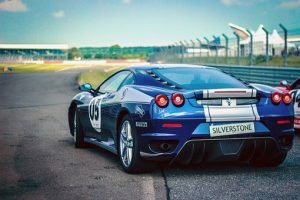 Sports cars all, crouching ever closer to the ground, their curves ever more aerodynamic, and their speedometers increasingly populated by three-digit numbers. How I wanted one. But the idea of leaving anything else on the road dwindling in the rear view mirror was forever scuppered by their price tags doing much the same to my salary. They remained an out-of-reach fantasy. Recently, though, I have noticed an evolution in my thinking. I still look at these beautiful machines with appreciation, but I no longer feel the need to own one. There’s often a McLaren in the car park of the gym I go to that makes me smile, and not just because it only comes up to my knees and makes me think that its owner must attend the yoga class in order to get into the thing. I smile because it is absolutely gorgeous. But I don’t want one. Because now I think: What’s the point? On how many of Britain’s public roads can you drive at 200 miles per hour? For those unfamiliar with this scepter’d isle, the answer, unsurprisingly, is Zero. The maximum speed is 70. In metric that’s 113 kph. So what’s the point of having a car that does that in second gear? Okay, I could take it to Silverstone or Brand’s Hatch for the occasional morning and have great fun lapping where Senna and Schumacher have gone before, but for 99% of the time it’s pootling about town and hoping no-one scratches it with a shopping trolley in Tesco’s car park. Furthermore, the powers that be are actually lowering the speed limits round my bit of the planet. They have reduced many 30 mph limits in residential areas to 20. I don’t think McLarens can physically go that slowly. Even my old jalopy wants to go faster than that. And I allow it to do so, to be honest. I settle on 22, since I’m not sure how accurate the speedo is, and I don’t want to annoy people by driving at 18. I seem to annoy them quite enough at 20! There is always a queue behind me, and it is not unusual for me to be overtaken by someone for whom the speed limit is just an opinion with which they evidently disagree, and who glare at me with the distinct implication that sticking somewhere near it is incontrovertible evidence of a feeble mind or a personal vendetta. I’m not too bothered these days. It means I might arrive at the gym five minutes later, but that’s no bad thing. Sometimes I can look at the clock when I get there, justifiably decide that it’s really not worth getting changed and waving a few ‘weights’ around my head to no apparent effect, and just have a cup of coffee instead. Maybe write a blog post or a column. Like the one you have just read. Happy days.